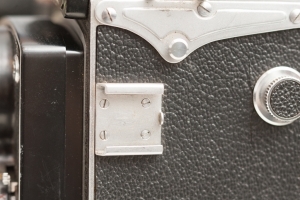 Before the wizbang TTL flash technology we have now, camera to flash technology was super simple. There were just two contacts where the flash would touch the camera (in terms of communication). 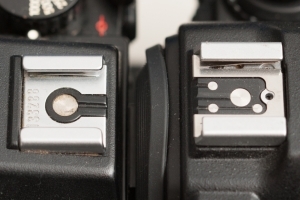 When the camera’s shutter would fire, the flash would fire at whatever setting the flash was set to by the photographer. There was no communication of ISO or f/stop setting to the flash, nothing. As can seen in photo on the right, there are little guide rails to help lift and guide the pins of the flash unit to the proper connector on the hotshoe. So what happens when you want to use a newer TTL flash or wireless flash trigger on an older film body? Well, the pins get stuck. I found an easy solution. 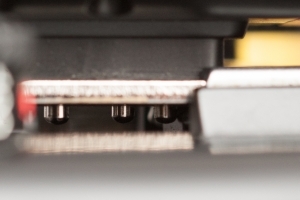 There are hotshoe adapters that have little ramps that guide the TTL pins up onto the hotshoe even if they aren’t being used for communication. 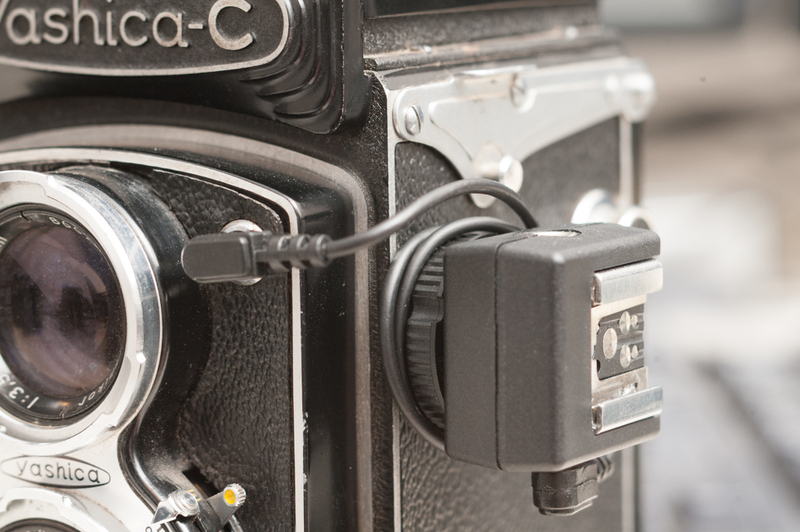 This at least allows you to use TTL flashes (in manual mode or “A”perture mode) or wireless trigger with additional pins on your older film bodies. The Hotshoe adapter shown on the right is a passthrough adapter with a single pin to allow cameras like the Mamiya RZ67, Minolta XE-7, etc to trigger a flash. 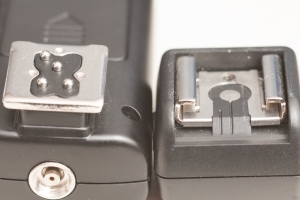 There are also adapter that tighten to the shoe and contain a hotshoe on the top with sync ports on the sides to connect to your camera. In the example above, I’m using a PC Sync cable to connect to the Yashica-C PC Sync port to fire my modern wireless flash trigger, the Godox X1 (Also rebranded to Flashpoint R2 and Cheetah X1).